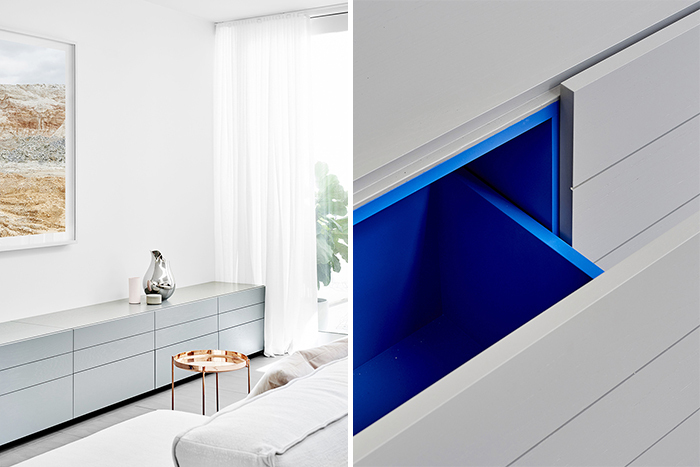 In some cases colour doesn't have to take all over the place. Sometimes it just have to be a discreet optical surprise in a neutral environment. 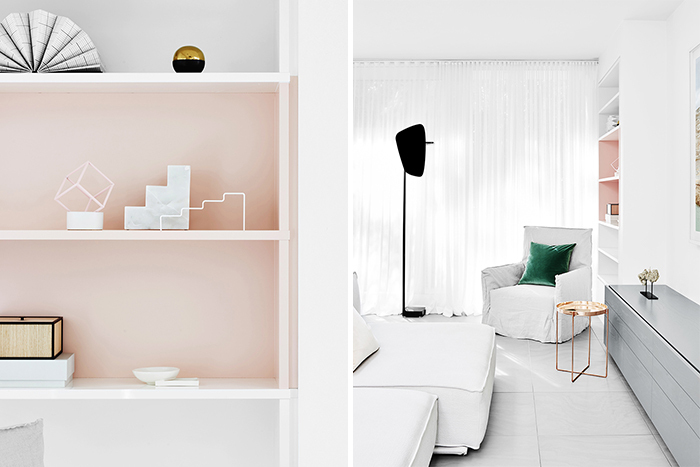 Famous Australian designer, Fiona Lynch designed the interior of a grand Victorian terrace in Melbourne’s South Yarra. 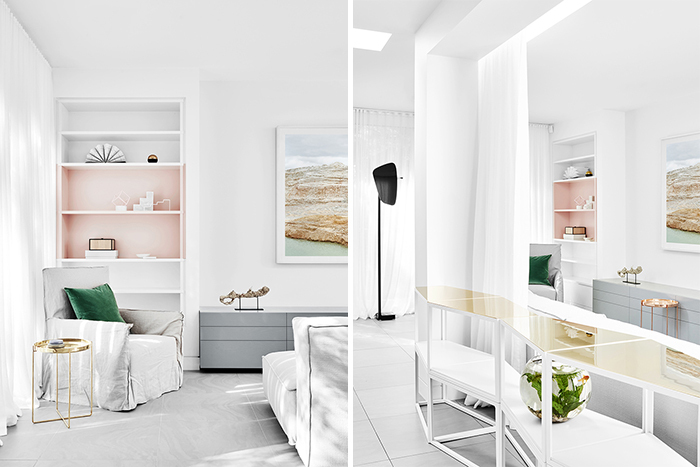 She created a calm and lounging space using a white and light grey palette as a base mixed with custom made furnishing and some pops of pastel and bright colours. Can't stop staring at these images. Great inspiration!